Due to recent federal budget cuts, a local foundation is forced to turn way several homeless women and children who are in crucial need of shelter and basic necessities. The Time For Change Foundation (TFCF) is a local non-profit agency that specializes in assisting the homeless. It is there that women and children are able to gain skills to gain employment. They are offered accommodations to help them transition from the streets back into the work-force and the school system. According to a 2009 study by the National Center on Family Homelessness, 1.5 million American children are homeless each year. The TCCF, which was established in 2002, receives federal allowances from the federal government through the Community Development Block Grant (CDBG). The grant funding is a flexible program that provides communities with resources to address a wide range of unique community development needs. Some CDBG services include: funding shelter operations, refurbishing old houses, installing sidewalk wheelchair ramps, and improving parks. “The funding is critical to live saving support services and modest construction in San Bernardino. It can be used to replace fridges at food banks, weatherize shelters and pay for shelter expenses,” said Kim Carter, the executive board of director. The Community Development Block Grant was founded in 1974, and is still one of the longest running housing and urban development programs. However, they faced a budget shortage from a 7.5 percent cut to its funding which amounted to about $1,125. The amount may seem nominal to some, but it means at the end of the day, fewer families will gain access to the much needed resources that the Time For Change Foundation can offer. “I think it’s terrible they are always cutting programs for the less fortune. And if the can help we would love to do that, with the approval of the director and administration,” said Yuvette McCray-Moon, student and staff member of the Women’s Resource Center. “Across the board, we will serve about 10 to 15 less families because of these cuts. CDBG funds are great leverage dollars; meaning we are more likely to receive other funds because we get CDBG funds,” said Carter. Some the most common factors of homelessness are lack of affordable housing, unemployment, substance abuse, and mental illness. 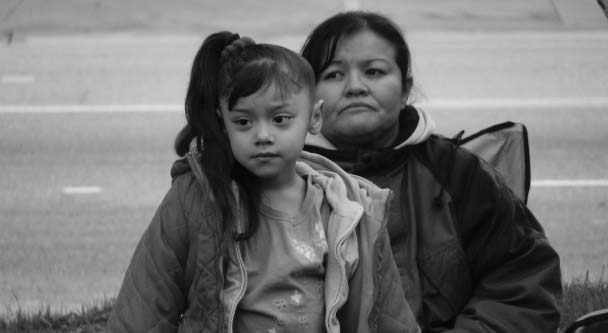 In the state of California, more than 292,624 children are homeless. In California, 13 out of every hundred children are homeless or living in poverty according to the data collected by the McKinney-Vento Educational Program. In San Bernardino and the Great Los Angeles area, local governments received $27.1 million in block grants in 2010. A 7.5 percent decrease in that funding would mean the loss of more than 2 million, according to The Sun. “All recipients of CDBG funds receive an annual allotment from $5,000 through $10,000. We partner with Catholic charities, local food banks, and other service providers to help women access mental health and other core needs,” said Carter. “Private foundations like to see that you are supported by your local government so losing that money will have a rippled effect,” said Carter. Government should focus as well to the homeless families, it is sad and heart breaking to see families especially children sleeping along the road.